Big air, literally and figuratively. “Everybody in the digital video industry is pretty much in agreement that 30 to 40% of the ad impressions that are delivered don’t really exist. Nobody would say 30 to 40% of TV’s viewing audience doesn’t exist. Across the first four nights of the Olympics, ratings for (tv) were down 15% from the comparable nights four years ago. But the total audience was down just 7%. "A viewer is a viewer." Ad Age - Ratings for NBC's presentation of the 2018 Winter Olympics have been higher than the network had anticipated when it began negotiating with advertisers looking to buy time in the 18-night spectacle, and as such the ad sales team has some bonus available inventory on its hands. Speaking to reporters in a Tuesday afternoon conference call, NBC Broadcasting & Sports Chairman Mark Lazarus said the Olympics ratings "increased our capacity in ways we did not expect." As a result, NBC is freeing up some of the commercial time it had held back as a hedge against possible makegoods. "We are on a pace right now where the inventory we held aside for potential under-delivery of our estimates is not going to be needed," Lazarus said, adding that NBC has "a few million dollars" worth of inventory it had salted aside for makegoods that it can now sell to "advertisers who came in with smaller buys and who want to buy up" or, perhaps, newcomers who approached the PyeongChang Games with a wait-and-see attitude. "We still have the ability to go back into the market and sell more," Lazarus said. "If you want to sell your product in the next two weeks, we are the window to consumers." Through the first five nights of primetime Olympics coverage, a span that includes the broadcast of Friday's tape-delayed opening ceremony, NBC Sports is averaging 23.6 million viewers via the NBC and NBCSN TV networks and across its digital platforms. That marks a slight 6 percent decline compared to the 25.1 million viewers NBC averaged during the first five nights of its 2014 Winter Olympics coverage. Media buyers who bought time against NBC's Total Audience Delivery metric, which is ad sales argot for the aforementioned broadcast/cable/digital bundle, confirmed that the network's current numbers are landing right in the sweet spot of its guarantees. Those who bought inventory before NBC embraced the TAD currency say the Olympics are coming in slightly shy of the negotiated household rating, although the shortfall is not considerable. According to Nielsen live-plus-same-day data, the broadcast-only opening ceremony and the first four nights of primetime competition on NBC and NBCSN averaged a 12.9 household rating, down just a few ticks from the guaranteed 13.5 rating. But the expectations of those who bought into the complete TAD package far outweigh that of the early birds who negotiated against guaranteed household ratings. Lazarus said nearly 90 percent of the Olympics advertisers "bought the entire suite of products." While TAD is designed to account for every viewer who takes in the Olympics, regardless of platform or medium, to the casual observer the particularities of NBC's deals with advertisers may be somewhat confusing. 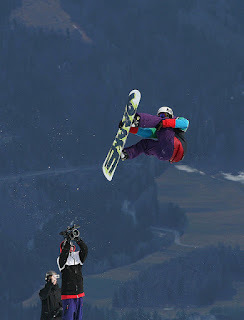 For example, even though NBC and NBCSN air completely different content during the primetime window—on a night the broadcast network is airing downhill skiing and snowboarding, its cable counterpart may feature figure skating or hockey—the ratings for the two channels are measured as if they originated from one source. But because NBC and NBCSN carry the same commercial load during the primetime Olympics window, no distinction is made between the two telecasts. It is perhaps also worth noting that while the current Nielsen data does not reflect out-of-home viewership in bars, restaurants, gyms and other public venues, those bonus deliveries aren't entirely relevant with regards to NBC's deals with Olympics advertisers. As an NBC spokesperson told AdAge on the eve of the PyeongChang Games, because the network didn't sign off on Nielsen's out-of-home service until long after it had begun selling its Olympics inventory, the OOH metric "factored into only a small number of agreements." Back in PyeongChang, Lazarus today acknowledged a recent report by the Wall Street Journal's Alex Bruell that examined how big spenders such as Procter & Gamble, AT&T and General Motors had cut back on their investment in this year's Olympics. "There's been some things written about sponsors who aren't spending as much, and that's unfortunate for them because [our advertisers] are reaping the great benefits of these huge American audiences that are assembling," Lazarus said. "Our advertisers are already letting us know that they're seeing results and they're feeling very positive about their investment in the Olympics." Lazarus went on to say that new advertisers have more than made up for those veteran Olympics backers that have tightened the purse strings, noting that newcomers have been responsible for snapping up as much as 60 percent of NBC's available inventory. NBC has said that it will have booked north of $900 million in ad sales revenue by the time the Olympic torch is extinguished during the closing ceremony on Feb. 25. Each day of the Winter Olympics, NBC reports how many viewers watched the previous night’s coverage, and analysts and television executives try to divine what those numbers mean. But NBC isn’t presenting traditional Nielsen ratings, the television standard for decades. Instead, for prime-time viewing, the network primarily cites a recently created standard of its own making called total audience delivery, or TAD. It takes the ratings from the broadcast channel NBC and cable channels like NBCSN that are showing the Olympics and combines them with viewership across various streaming platforms to produce one number. NBC’s number-crunching is only partly a marketing campaign. It is principally the latest attempt at a valid head count in an industry where no one seems to be able to measure the crowd. Viewers are spread too far and wide, no longer huddled around the TV. NBC also used TAD during the Rio Olympics two years ago, but this is the first time it has sold advertising based on it. Guarantees to advertisers about how many people will watch commercials will be based on TAD, not Nielsen household ratings. As television audiences shrink, that is a big deal for the network, which says its national ad sales for the Winter Games recently passed $900 million. And NBC Universal has committed $8 billion for the media rights to the Olympics through 2032. For decades Nielsen produced easy-to-compare measurements of how many people watched a program and what percentage of American households they represented. But an exploding array of technologies — first TiVo and other digital video recorders, and now streaming players like Rokus, computers and phones — has fragmented viewing across dozens of different platforms, a large factor in the broad decline in television ratings. With billions of dollars in commercial time at stake, content providers, and especially media companies that own expensive sports rights, have raced to keep up. Scripted programming can have a long shelf life and be sold over time in a variety of ways, but the vast majority of sports is watched live, which means broadcasters need to capture every viewer possible and figure out how to count them. The catch is that they aren’t yet in agreement on how to do that. “In order for the industry to move forward, we have to coalesce around a single-source approach,” said Cary Meyers, head of ESPN’s consumer-research division, where the network is working directly with Nielsen on a live audience metric that would be a different version of TAD. NBC appears unwilling to take any chances with the Winter Games, particularly after facing an unexpected decline in traditional, or “linear,” TV ratings in Rio, when it had to offer free commercial time to advertisers to meet its ratings guarantees. Streaming surged during that period. Linda Yaccarino, NBC Universal’s head of ad sales, has been a vocal critic of Nielsen in recent years, saying that the measurement company’s methods don’t accurately count all the new ways people are watching its shows. Network complaints have grown louder as the legacy media companies battle falling ratings and new competition for ad dollars from the likes of Facebook and YouTube, which is owned by Google. Nielsen ratings for traditional television are based upon averaging every minute of viewing by a representative panel. NBC combines Nielsen’s measures for its television channels with Adobe’s measurement of streaming data to form TAD.Advertising technology is changing constantly, and Nielsen has to carefully decide when a metric is ready for mainstream adoption. Megan Clarken, Nielsen’s president of United States media (and at one time an Olympic-qualifying long jumper), said that a decade ago the company faced pressure to enter mobile measurement. If it had done so, Nielsen would have been pushing ultimately useless metrics to measure viewing on BlackBerry phones. While analysts said it was smart of NBC to push its own metric for the Games, it is also the right move for Nielsen to proceed carefully as it develops an industry standard for tracking viewers across a “dizzying array” of consumer devices in the digital world, said DaveMorgan, the founder and chief executive of Simulmedia. According to Nielsen, while measuring authentic digital viewing is difficult, it is no more difficult than doing so for television. But despite the ambiguity of the measuring sticks, advertisers don’t want to miss an opportunity to impress a mass audience over 17 days. While NBC sees a strong need for better measurement of non-television viewers, especially in sports, it won’t necessarily be rolling out TAD across the NBC universe. The Olympics are a unique property, with thousands of hours of programming playing out on broadcast and cable channels, unlike a hit drama like “This Is Us,” which would never be shown across a broadcast and cable channel simultaneously. The Olympics is the perfect petri dish for audience measurement,” said Mr. Lovinger of NBC. The network’s traditional television ratings during the Rio Games were down 15 percent compared with the London Games four years earlier, and since the network had made separate linear and digital ratings guarantees for Rio, it was left “without the ability to manage delivery across the Games,” Mr. Lovinger said. “You look at the Olympics in Rio and you look at the kind of decline in linear television viewing and the supplement of digital viewing, either simultaneous or delayed, and it is obviously a material difference,” said David Cohen, president of North America at Magna Global, a major ad-buying firm. So far, TAD seems to be doing its job. Across the first four nights of the Olympics, ratings for NBC only were down 15 percent from the comparable nights in Sochi four years ago. But the total audience was down just 7 percent. NBC said it is meeting its ratings guarantees, and has begun selling extra ad inventory that it had held back in case of falling short. Mr. Haljun said that the timing is right for NBC’s metric this year, but doesn’t see it as a long-term solution. “We’re at this weird point where people agree there needs to be a certified third-party number that’s comparable across networks,” Mr. Haijun said.